We don’t believe a guard alone represents a full spectrum of security, and are therefore not prepared to just place a body in a uniform at your site. To us he is merely a part of an all round, well co-ordinated, security and risk management service that we offer. We make an effort to really understand your business and its unique security challenges, and provide recommendations for a more comprehensive security system to best minimise your risks and protect your loved ones and assets. A site specific SOP is then drawn up which becomes the guard’s job description and contains targeted and customised preventative measures and procedures to minimise risk and add value to your home or business. rendered and effective ongoing communication between the client and ZONE. All our personnel are issued with the required gear and equipment to effectively perform their duties and are suitably trained in the their use. We always recommend the implementation of live guard monitoring systems to ensure that we are in control of their movements on site. 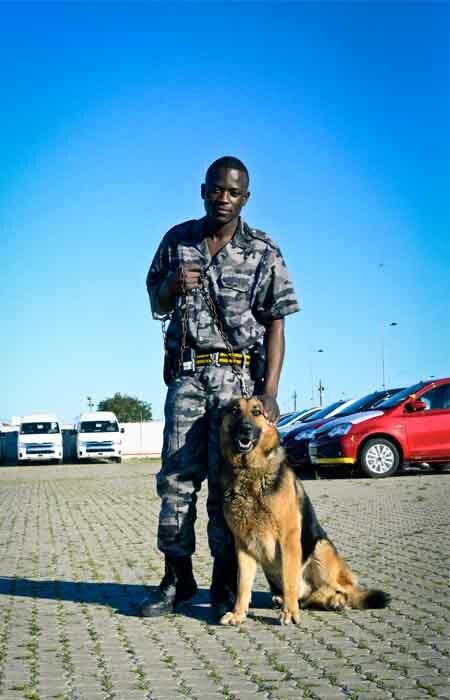 Where suitable or required, we are also able and capable of deploying canines on site with our guards. All canines are bred and trained for the purpose of protecting their handler (the guard) and obeying any commands issued by him. A risk assessment of the site will determine a need for our canines.